Jazz qualified with a bachelors degree in dental surgery from the prestigious Guy's, King's & St Thomas' dental school in London. Since qualifying, he has worked in Essex at both National Health and Private dental practices. Jazz has continued to further develop his skills and training both in London and internationally in Chicago, USA. Jazz is fully certified in many of the modern restorative and cosmetic procedures available today, including Invisalign, Clearstep, Inman Aligner, Six Month Smiles, Lumineers, Snap-on-smile, ZOOM! And Enlighten whitening systems. He has also completed a year long advanced cosmetic course with one of the UKs leading cosmetic dentists. Jazz is also able to offer anti wrinkle treatments and facial aesthetic enhancement treatments with botulinum toxin and dermal fillers. Being very keen on further education and self improvement, Jazz has also recently completed further qualifications with the Royal College of Surgeons, to become a member of the joint dental faculties of the Royal College of Surgeons of England. 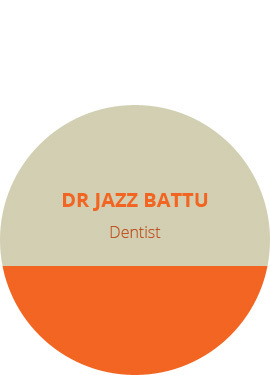 Jazz has a keen interest in restorative and cosmetic dentistry, restoring teeth and improving the smile. Call us today for a free no obligation consultation to discuss how the many treatments available can be tailored for you at our clinic. During your visit you can view some of the many smile make over and smile design type treatments and cosmetic improvements that Jazz has performed, and discuss how these can give you the smile that you desire. Gan qualified from The Royal London Hospital in 1993 and then went on to complete a Masters in Endodontics at Guy's Hospital in 1999. He has a great passion for learning and teaching endodontic (root canal) techniques. He currently dedicates much of his time to train young budding dentists at The Royal London Hospital's Dental School. Since qualification Gan has worked in predominantly private practice. At Crofts Dental practice, Gan not only receives internal referrals for root canal work, but also accepts referrals from other practices. Together with the referring clinician, Gan strives to provide high quality endodontic treatment. He prides himself on his professional and caring nature, helping to ensure patients receive the best possible care. He ensures patients are fully involved in decision making, carefully explaining all aspects of their treatment. Gan continues to accept referrals. All cases are welcomed, especially those of special difficulty such as re-treatments, fractured files and post removals. Please either download a referral form, call us on 01992 574004 OR email us on enquiries@croftsdental.co.uk. Tarik qualified with a Bachelor's degree in Dental Surgery from King's College London Dental Institute, University of London with honours and was awarded The Jelf Medal for outstanding contribution. He then gained his general professional training in Oral and Maxillofacial surgery in Queens Hospital Romford and the Queen Victoria Hospital in East Grinstead. Tarik returned to Guy's Hospital to undertake core dental training in Oral Medicine, Oral pathology and Paediatric dentistry. Tarik's formal postgraduate education includes a masters degree of Oral Medicine in Implantology from the University Of Münster in Germany and a Postgraduate Certificate in Academic Practice from King's College London. Tarik has recently returned to King's Dental Institute as a clinical teacher in Oral surgery teaching undergraduate dental students. Tarik is a member of the joint faculties of Dental Surgery at the Royal College of Surgeons of England and has recently been appointed as an examiner for the college. He is also a member of the British Society of Oral & Maxillofacial Surgery, Oral Medicine and Paediatric Dentistry, and a fellow of the Higher Education Authority. He has published national and international papers as author and co-author. Dr Shembesh is committed to continued professional development and continues to attend numerous national and international postgraduate educational courses. This allows him to use the most current evidence based research to treat his patients using the latest techniques and materials. His special interests are preventative and minimally invasive aesthetic dentistry as well as surgical dentistry and sedation. He strives to provide his patients with the best and most advanced treatments that modern dentistry has to offer gaining the best possible smile enhancements using the most conservative methods. At Crofts Dr Shembesh provides a full range of oral surgery services under local anaesthesia and sedation including third molar (wisdom tooth) surgery, dento-alveolar surgery and dental implantology in modern, comfortable surroundings. Tarik accepts referral at our practice for surgical and general restorative dentistry under RA or IV sedation. He is also happy to accept referrals for Implants. His caring and dedicated nature will ensure that patients are treated in a very professional manner and leave Crofts Dental Practice with a very pleasant experience. Copyright © Crofts Dental Practice. All rights reserved.